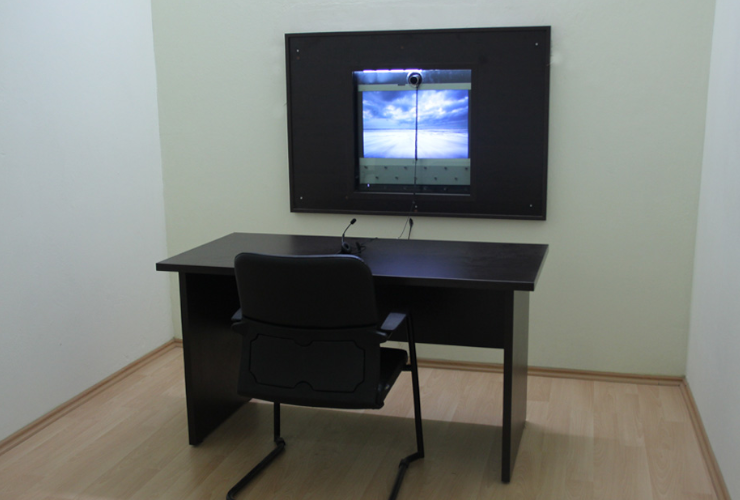 SEGBİS court-to-prison video link room, Sincan Prison. Photograph courtesy of Sincan E-Type Prison. Journalists across Turkey currently face significant restrictions on their right to a fair trial as guaranteed by Turkish and international human rights law. Among the restrictions are new regulations preventing journalists from attending their trials in person and forcing them instead to give evidence via a video-conference system known by the acronym SEGBİS. IPI previously reported on the cases of several Kurdish journalists who were forced to appear in court via SEGBİS. This article will examine more closely the legal basis for SEGBİS and the serious problems it poses in terms of the right to a fair trial. The basis for the SEGBİS system is regulated in Article 196 of the current Turkish Code of Criminal Procedure and came into existence on September 20, 2011 under the directive entitled “Directive on Utilization of the Audio-visual Informatics System in Criminal Procedures”. Article 3 of this directive describes SEGBİS as a “simultaneous and electronic audio-visual informatics system that relays, records and retains information”. Article 196 of the Code of Criminal Procedure and associated regulations state that SEGBİS should be used to link prisoners to courtrooms only in extenuating circumstances. However, on August 25, 2017, under Turkey’s emergency rule, the Turkish authorities published Emergency Decree no. 694, which has the force of law and which is entitled “With Reference to Making Various Regulations within the framework of the State of Emergency”. This decree removed the requirement that extenuating circumstances be present for the use of SEGBİS. As a result, the use of SEGBİS is now at the discretion of the judge and the court. After Emergency Decree no. 694 became law, the use of the SEGBİS system to take defendants’ evidence became extremely widespread. This is after cases of its use had already risen from 12,759 instances in 2013 to 244,768 instances in 2017. These changes have led to defendants in a number of cases not being brought from prison to the courtroom in which they are being tried. This means that many defendants, including journalists, are required to give evidence in their defence without appearing before a judge in person, without being able to face the witnesses against them, and without having the support of a lawyer with them or being able to examine the contents of their case file. The widespread use of the SEGBİS system also begs the question of whether Turkish courtrooms are able to support the technology. In a number of cities, especially those where the population is mostly Kurdish, we see that due to the fact that the courthouses are very old, the system is not fully integrated. Often there are not sufficient numbers of computer-literate personnel to operate the system. For this reason, technical difficulties arise that lead to defendants’ not being able to give their defence statements at all, even via SEGBİS. In some cases, defendants in pre-trial detention who wish to demand their release are not able to do so because of technical faults. And yet, the trial goes on. In situations in which defendants cannot be linked up to the courtroom to present their demands, judges often rule for their continuing detention. A case in point is that of Dicle news agency (DİHA) journalist İdris Sayılğan, who has been held in pre-trial detention for almost two years. Sayılğan is on trial for his journalistic articles and faces up to 15 years in prison on charges of “membership in a terror organization”. While Sayılğan’s trial is being held in Muş, in eastern Turkey, Sayılğan himself is being held in prison in Trabzon, some 450 kilometres away. For Sayılğan’s seventh hearing, held on May 23, 2018, the court decided that he should give his defence statement via SEGBİS. However, as a result of an alleged “technical malfunction” with the system, he was not able to do so. Despite protests by his legal team, the hearing proceeded anyway, and the judicial panel ordered Sayılğan’s continued detention. His case was then adjourned for five months. We later discovered that the prison had failed to notify Sayılğan that he was being called to testify via SEGBIS. Indeed, it came to light that prison staff were gratuitously using the excuse of a “technical failure” (itself not a legitimate reason to prevent a defendant from giving evidence) in order not to link up defendants with the court. Such examples clearly demonstrate the degree to which the right to a fair trial is being violated in Turkey. We have observed that these violations occur much more frequently in the parts of Turkey where there is a Kurdish majority. Although we have not compiled statistical data on the matter, our dealings with clients in these regions lead us to believe that they are being held in prisons far away from the towns or cities in which their court cases are being heard. This situation, which appears to have become a matter of course, impacts defendants’ ability to be present in court and therefore naturally leads to an increased use of SEGBIS. Due to the poor quality or lack of technical equipment in courtrooms in these areas there is a high instance of technical failure and we often observe that defendants cannot even be linked by SEGBİS from prison, meaning they cannot even be virtually present at their own trial. Currently, Turkish courts are denying defendants their right to a fair trial as enshrined in Article 36 of Turkey’s constitution and Article 6 of the European Convention on Human Rights (ECHR). The widespread use of SEGBIS, and in particular the technical challenges that occur, conflicts with basic principles in Turkish criminal law on immediacy and the giving of oral evidence and can be criticized as an impediment to a defendant’s right to defend him or herself. The principle of immediacy is clearly defined in Article 217(1) of the Turkish Code of Criminal Procedure. “to defend himself in person or through legal assistance of his own choosing or, if he has not sufficient means to pay for legal assistance, to be given it free when the interests of justice so require”. In addition to this, in the cases Golder v. The United Kingdom (1975) and Zana v. Turkey (1997), the European Court of Human Rights (ECtHR) found that a defendant’s not being present in hearings constituted an infringement of Article 6(1) and 6(3) of the European Convention. In the Zana v. Turkey ruling, ECtHR ruled that neither the fact that the defendant gave “indirect” testimony nor the fact the defendant’s lawyers were physically present in the courtroom was sufficient to fulfil the defendant’s right to “being present in the courtroom.” This principle applies to all cases except those in which the defendant him- or herself openly requests not to be present inside the courtroom. These considerations lead us to conclude that the reliance of courts on SEGBIS and the fact that defendants are not brought to the court in person constitute infringements of defendants’ right to a fair trial as enshrined in Article 6 of the ECHR and Article 36 of Turkey’s constitution. Veysel Ok graduated from Istanbul University’s Law School in 2006. He headed his own law company until 2010 acting as legal counsel for writers, predominantly Kurdish journalists and political arrestees. Throughout his career, he has acted as legal counsel in more than 400 press freedom trials. Past clients include Ahmet Altan and Şahin Alpay. Currently, he defends many journalists including Deniz Yücel and Nedim Türfent. 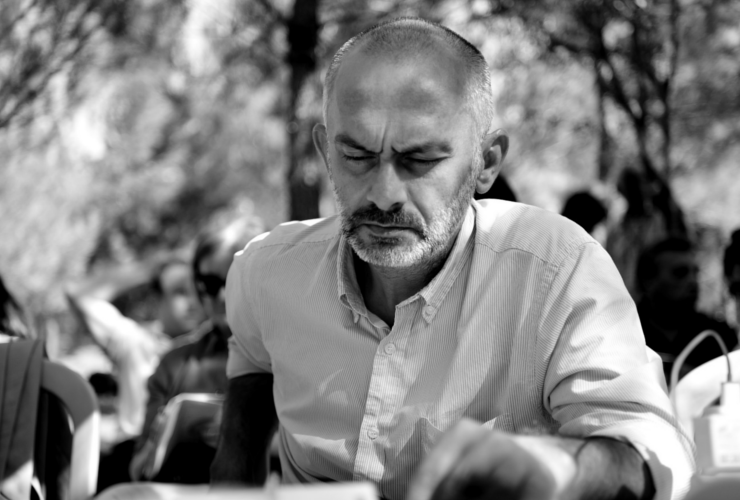 He is a co-founder and the Coordinator of the Turkish NGO Media and Law Studies Association.